While nothing is more frustrating than using lag bolts to penetrate a new roof in order to mount a dish or antenna, the CommDeck product line is the solution for maintaining the integrity of a new asphalt or tile roof. For new home construction the CommDeck is flashed into the roof material just like a roof vent and does not penetrate the roofing materials. The cables remain coiled inside the base unit until needed. 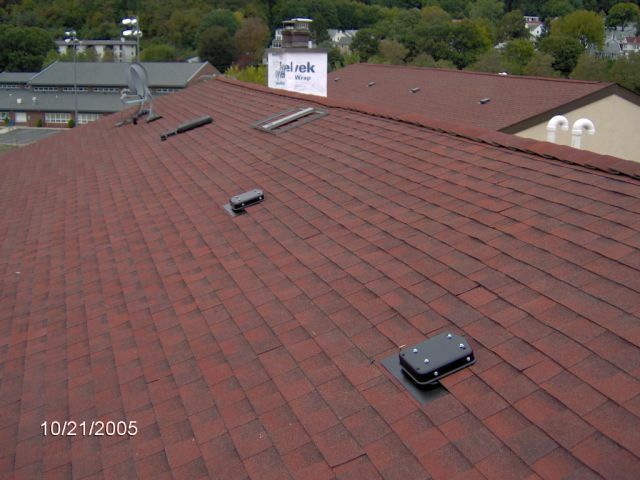 When re-roofing existing homes where exterior wire is already present, our RetroDeck provides a superior mounting surface that secures under shingles, eliminating roof damage caused by standard installation methods. Either product will offer your business an exceptional up-sell opportunity and a great solution for your customer without voiding your roof warranty. Thanks to Commdeck, satellite installations can achieve a clean look while eliminating external wiring and the possibility of water intrusion.